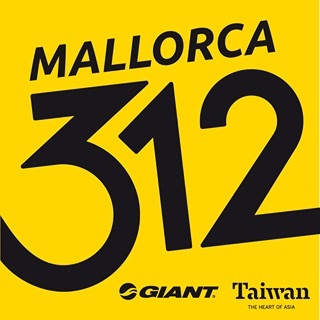 Mallorca 312 is the longest cycle event for sportive cyclists held in Spain. 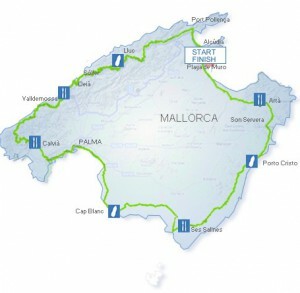 There are two challenges on offer – the 312km route following the perimeter of the island – with 4,300m of climbing, or the “shorter” 167km route with 2,588m of climbing (no mean feat in itself). Those taking on the ‘312’ challenge must complete the route within a time limit of 14 hours (and therefore, keeping the average speed above 22kph). Starting in the north-east of the island, the flat first 30km is a good warm-up before heading into the mountains. After the climbs, the route splits – the 167km route turns inland, while the full 312km route continues along quiet coastal roads, until the outskirts of Palma where traffic lights need to be negotiated with care. Then its back to flat open roads heading back to Platja de Muro. A dozen Harrogate Nova members signed up to the event, with official finishing times given as: Mallorca 312: Tom Denwood 8:58:47 (one of the fastest ten finishers), Huw Spacey 9:29:06, Mike Worden 9:29:07, Robin Beagley 9:29:10 and Andy Baker 9:45:07. Mallorca 167: Niall Frost 5:09:33, Simon Ketteringham 5:09:35, Simon Thomas 5:09:36, Mike Hudson 5:20:08, Paul Lehan 6:11:23 and Mike Wilberforce 6:11:23. See Strava for more details. Greg Ketteringham was unfortunately unable to make the trip at the last minute. 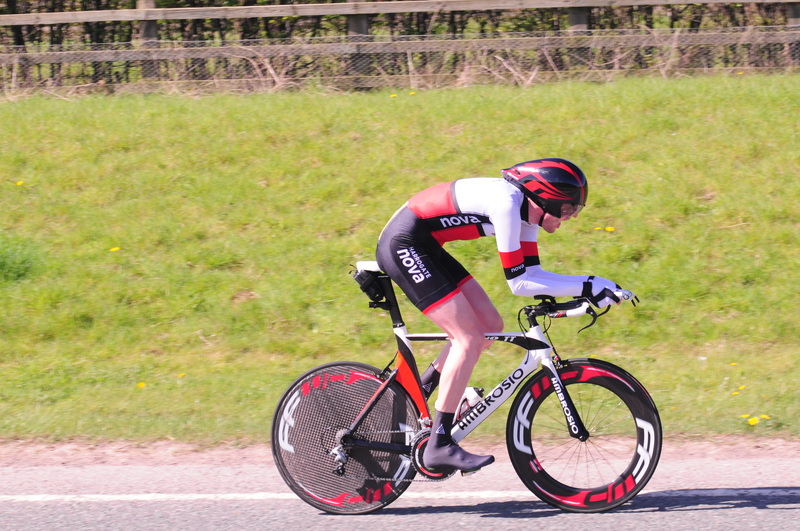 On Saturday, in wet and cold conditions, at the Yorkshire Cycling Federation 10 mile TT on the V718 course, Duncan Mullier was 5th with 19:58, Alasdair Mitchell placed 30th with 21:28 and Walter Wilkinson 59th with 23:20. Alison Sarmiento was among the two dozen riders who didn’t make it past the start line as the event was abandoned due to heavy rain, hail, standing water and spray. The frosty start on Sunday morning gave way to a cool, but sunny ride for Richard Hamilton competing in the Otley Cycle Club 25 mile TT on the Boroughbridge-Walshford-Boroughbridge (V235) course. Hamilton, returning to racing after a year out with injury, recorded a time of 59:22 to finish in 17th place. The event, and the Dave Booth Trophy, was won by Andy Jackson, Team Swift, who was just 20 seconds shy of the course record stopping the clock at a truly astonishing 51:51. 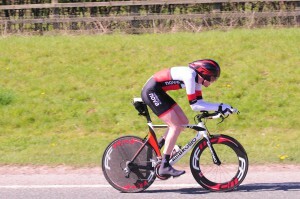 Ted Sarmiento recorded a time of 2:35:35 (57th place) at the Teesdale Mountain TT. The 40.5 mile course takes in steep climbs, cattle grids, sharp descents (1 in 8) and the potential of sheep wandering across the course. In mountain biking, Tim Evans was 13th Grand Vet at the second round of the Nutcracker MTB XC held at Dalby Forest. Gary Marks was 30th in the Veteran event, with Will Gilroy 14th in the Juvenile male category. Richard Pennock had an epic day out at the 69 mile Lakeland Loop Sportive. Read his great ride report in the Sportive section of the forum. 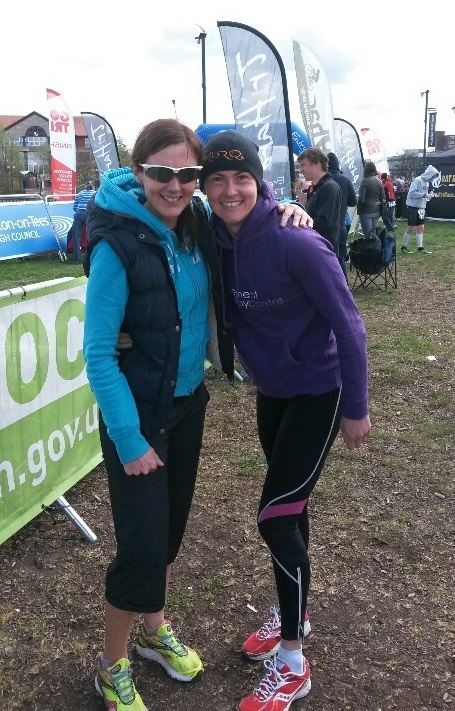 At the Stockton Duathlon (10k run, 25 mile bike, 5k run), Ele Haresign won the women’s event in a combined time of 2:02:20, and multi sport novice Corrine Mitchell was second in the women’s Veteran category in an excellent time of 2:17:25. At the same event, Nova members Andy Stenson (RAF Triathlon) and Dave Mann (NYP Tri) also posted good results. Andy finished 16th in the Senior male category with a time of 2:00:54 and Dave finished 17th in the Veteran-40 male category with 2:08:35. The Beech House Dental Practice Evening TT League starts again on Wednesday 29 April with the Farnham 9 mile. For more details, see the events page.